Mega Power Star Ram Charan Nayak shooting is taking place in Hyderabad currently where a huge set has been erected at Sarathi Studios. A brief schedule will be canned in the new set. Nayak has been recently shot extensively in Kolkata and few emotional packed scenes have been canned in the area. 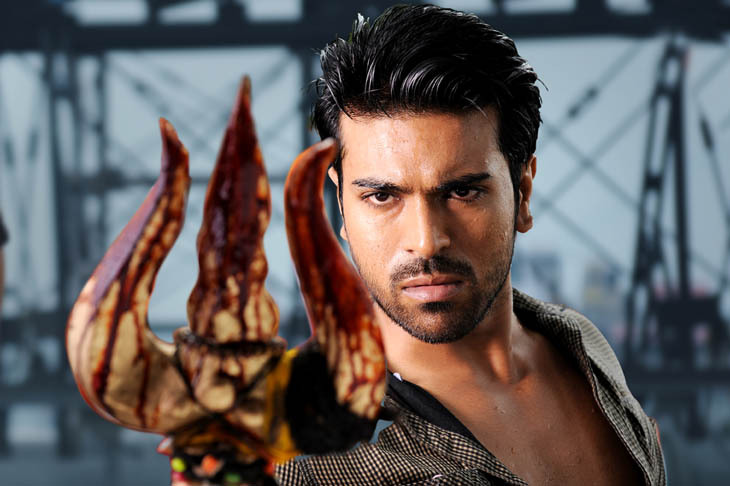 Nayak casts Kajal Agarwal and Amala Paul as the leading ladies and Ram Charan in dual role. Being directed by V V Vinayak and produced by DVV Danayya under Universal Media banner, Nayak has music by SS Thaman and cinematography by Chota.K.Naidu and story by Akula Shiva.